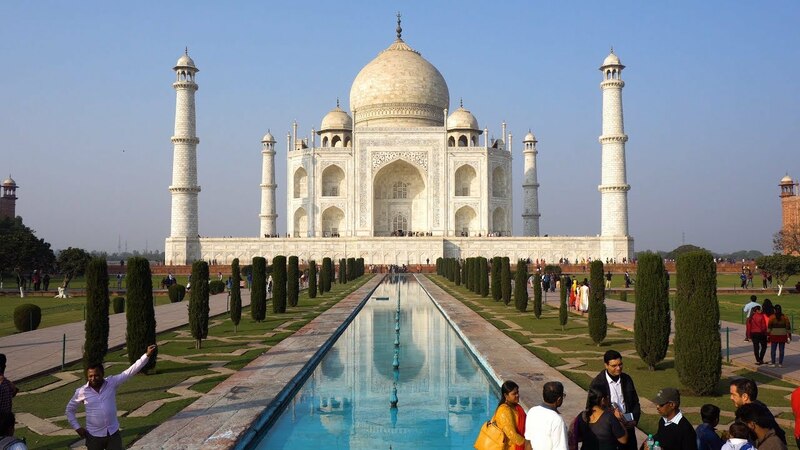 Looking for a private tour to the renowned Taj Mahal, or the Golden Triangle Tour with your local travel host? Try us! Drop in your details for us to get in touch with you. Prachi & Mayank, the founders of this travel website are childhood friends and avid travelers. They attended the same school and went their separate ways to chart the course of their career paths. While Prachi completed her degree in Architecture, Mayank became a Software Engineer. Prachi spent her time working on designs for hospitals, apartments and schools, while a tiny voice in her head kept prodding her to travel around the world and bring home memories and experiences for life. Mayank lived in a different continent and was busy developing software, with a fire burning in him to become an entrepreneur. A random Google search made them reconnect after years and bond over their passion – travel. The duo is committed to help create the best travel experience for their fellow travelers. We would love to take you around ourselves. We can speak your language, whether it is English or Spanish. Yes, we are Indians with a strange accent, but we assure you, our enthusiasm and exuberance to show you the beauty in this part of the globe will surely warm your hearts. We want you to experience a journey full of fun and excitement instead of a dull and boring regular tour, where, you just watch the monument and return back home with pictures and no stories to remember. Who else can show you a different side of our country, where we still believe in “Atithi Devo Bhava” i.e. “Guest is like God”! Be our guest and enjoy our hospitality. We specialize in tailor-made tours to suit the individual requirements of our guests. You will travel via your own private vehicle (we will keep your preference in mind) and a tour guide. You will also skip the long queues at the entry to Taj Mahal. There will be no irrelevant stops for shopping if you don’t want it. If you wish, we will suggest some local shops of repute so you can buy some nice souvenirs for your friends and family. We will also suggest good restaurants suitable for your taste buds where you can enjoy good Indian food, a cuisine you will always remember. Ask us to personalise anything you like, we can even be your photographer to make your tour a memorable experience. We are offering the same day Agra tour by car from Delhi. It can be a day tour or you can choose to enjoy the sunrise at Taj Mahal. The sunrise at Taj is extremely beautiful and that’s the time when it is least crowded. We also offer regular day tours with our authorized tourist guides from Delhi or Agra, who speak different languages. We can customize everything for your comfort, just ask us, and we will make sure that you carry along some beautiful memories of Taj Mahal that will last a lifetime. Golden Triangle – the cultural and historical tours of India. This tour gives mystic & historical, experience of India. You get to witness the History and architecture while staying in few of the finest hotels in India or even the heritage properties. The tour covers three of the most vibrant, beautiful and amazing cities of India – Delhi, the country capital, Agra- the seat of power during much of Mughal rule & home to the spectacular Taj Mahal, and Jaipur – the Rajasthani Capital with its traditions of chivalry and valour.